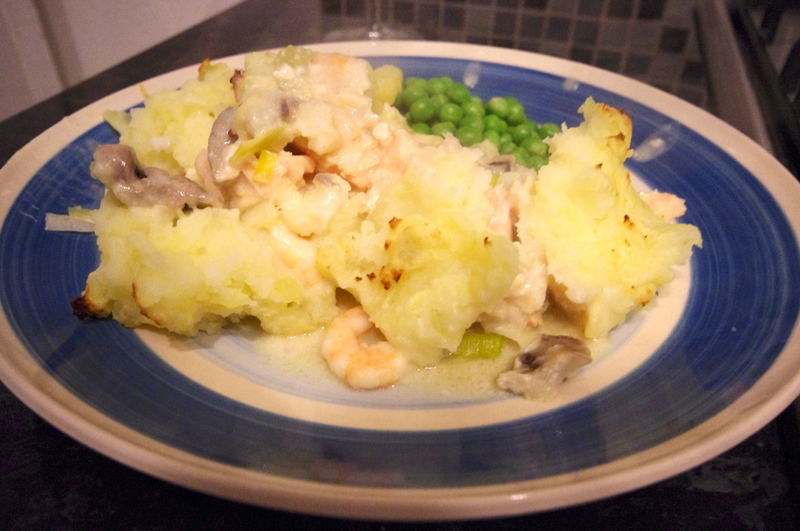 Fish pie is my favourite comfort food with a healthy twist, that makes the perfect lunch or supper any time of the year. The rich creamy sauce and the addition of fresh prawns and herbs adds to the luxury feel, making this dish worthy of gracing any table. Delicious served with a glass of chilled white wine. 200g white fish fillets such as cod or place, skinned. 1 tbsp freshly chopped parsley, tarragon or dill. 1) Preheat oven to 180C/350F/Gas mark 4. Grease a large baking dish. 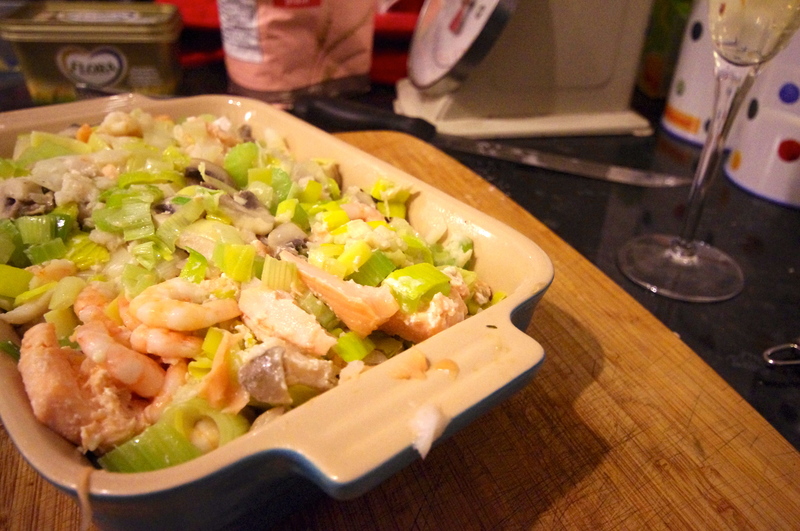 2) Place fish fillets in dish, season with salt and pepper, pour over wine and scatter herbs. 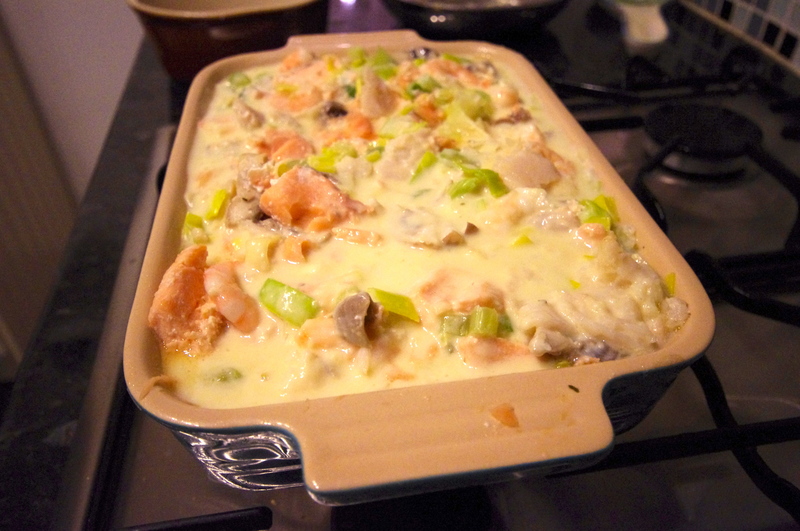 Cover with foil and bake in oven for 15 minutes, until fish starts to flake. Strain off liquid and reserve for sauce. 3) Increase oven temperature to 220C/425F/Gas mark 7. 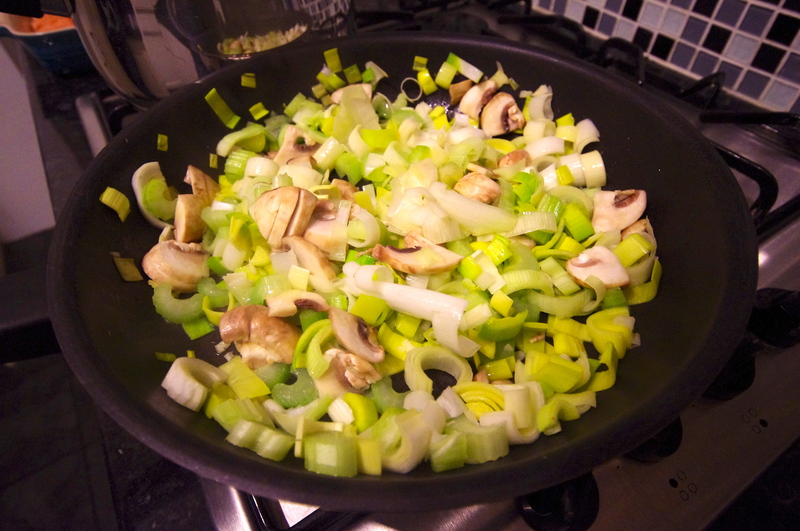 4) Add 15g butter to a frying pan and saute leeks, mushrooms, garlic and chilli in a frying pan. 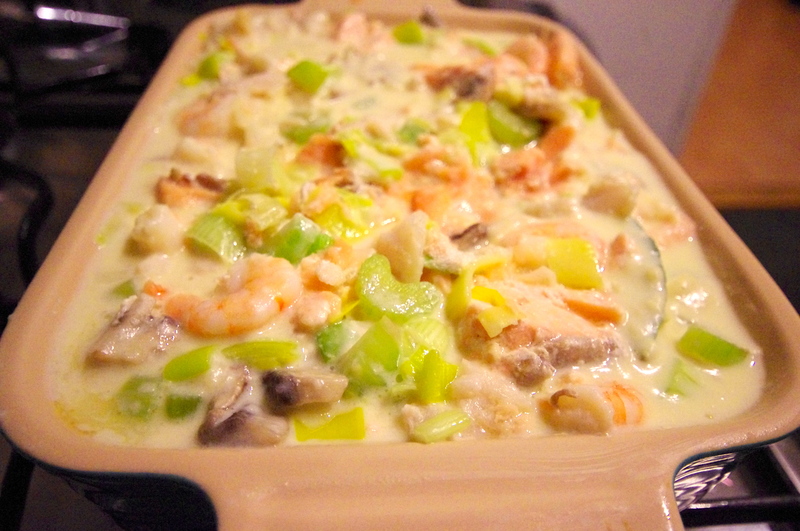 Spoon over the fish and scatter prawns in baking dish. 5) Melt 55g of remaining butter in a saucepan and stir in the flour. Cook for a few minutes without burning. 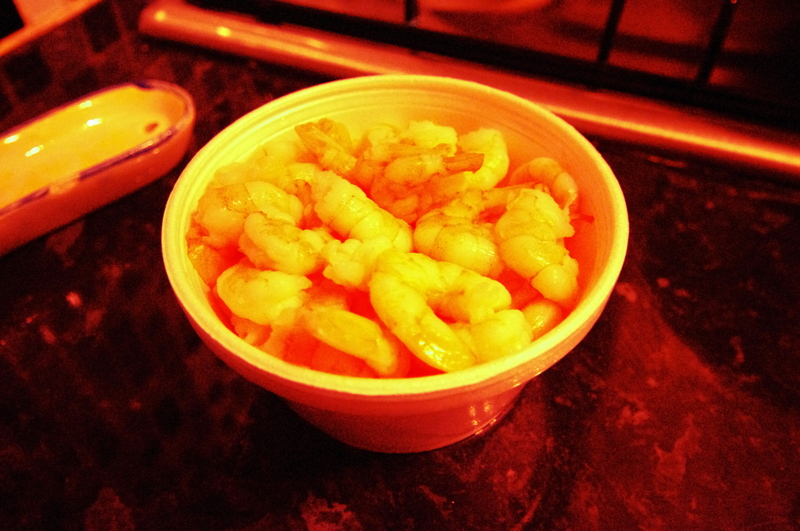 Remove from the heat and add reserved cooking liquid gradually, stirring well. 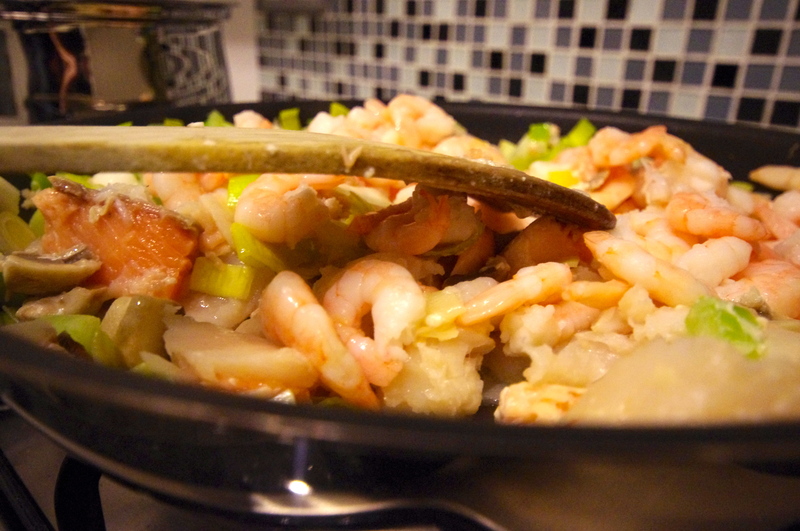 6) Return saucepan to the heat and gently bring to the boil, stirring to ensure a smooth sauce. 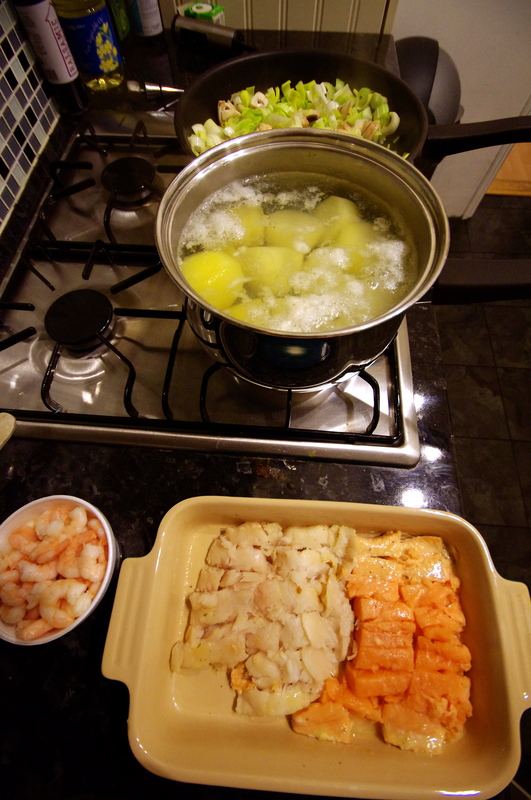 Add the cream, bay leaf, salt and pepper and pour over the fish in the baking dish. 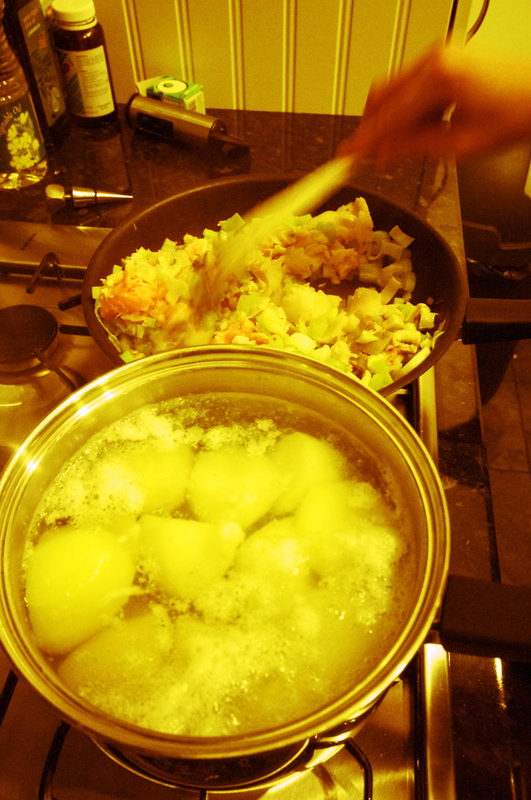 7) Meanwhile cook the potatoes in a large saucepan of salted boiling water for 15-20 minutes. Drain well and mash until smooth. 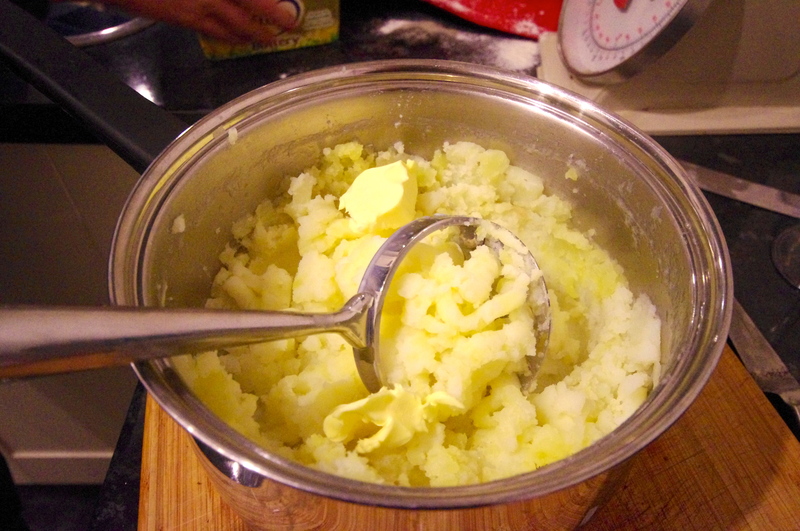 Add a knob of butter and a splash of milk, stir thoroughly and season with salt and pepper. 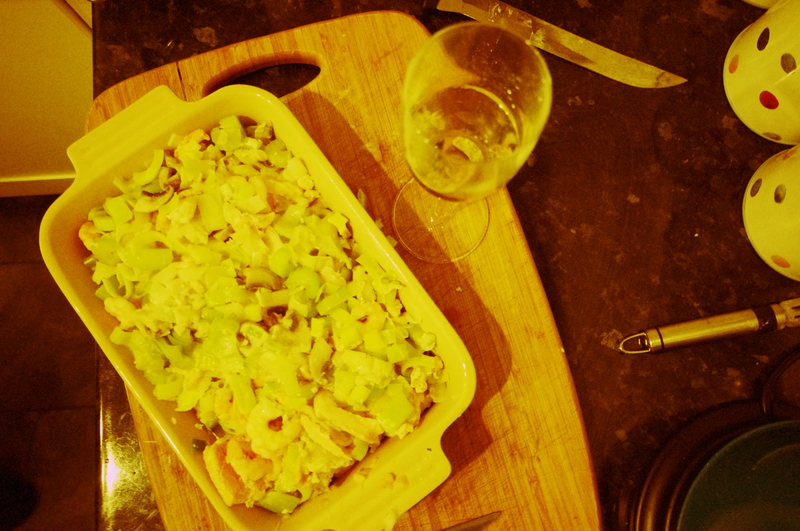 8) Pile the potato onto the fish mixture in the dish and bake for 10-15 minutes until golden brown. 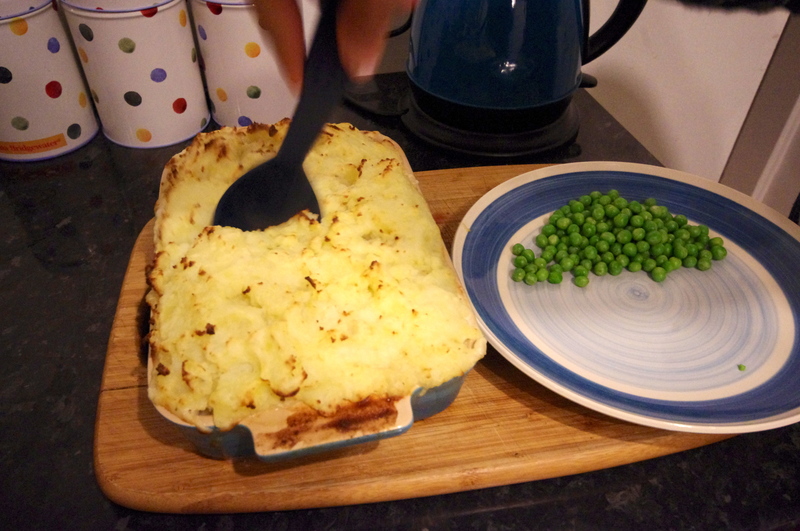 9) Serve with peas or other green vegetables. Thanks Ren. Good luck with the snow where you are.